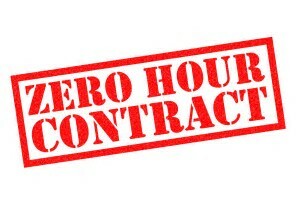 Zero and reduced hours contracts are a national disgrace. Many of our customers at Care100 are carers. They are usually on zero hours contracts. In a tough world where working days are long and usually antisocial, why do agencies not look after their staff? How can they get mortgages or loans – or plan ahead when they don’t know how many hours they will be working. It simply means that workers will get a phone call with very short notice to ask if they can come into work. If they refuse, they may end up with no work at all next week. My son was recently offered a job by a large hotel chain. They promised him as many hours as he wanted but would only offer him a 20 hour contract. He was very disappointed as it was a job he would have loved to accept – but how could he move from home and rent a flat in the knowledge that one week he might only get 20 hours work. Business owners should be embarrassed. If the work is available then put it in a contract. If it is not available then be honest and don’t promise what you can’t deliver. It’s time businesses supported their workers. There is nothing more important to a business than the staff. If a business is saying that you can work as many hours as you would like to, then put it in the contract. Don’t expect people to work on an ad hoc basis. If you value your staff then look after them. This entry was posted in ADVICE on buying the right product and tagged contracts, hours, zero.